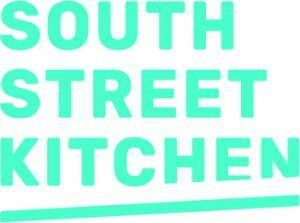 Owner Rachel Cornish said; “Every year we look forward to OTS and love going to the wide variety of events - so South Street Kitchen is proud to supporting this wonderful festival that is so important to the culture of Sheffield and really helps puts the city on the map." South Street Kitchen is an independent cafe based in Sheffield city centre at Park Hill flats next to Sheffield train station. Serving speciality coffee and Middle Eastern inspired food as well as northern craft beers and wines, the kitchen is open Tues-Sat plus Friday evenings. Having opened in March this year the cafe has been welcomed by locals and visitors alike. At South Street Kitchen they are serious about environmental sustainability and strive to provide an affordable and enjoyable experience which doesn’t cost the earth. The cafe is on two floors with seating for 50 people commanding panoramic views over the city.